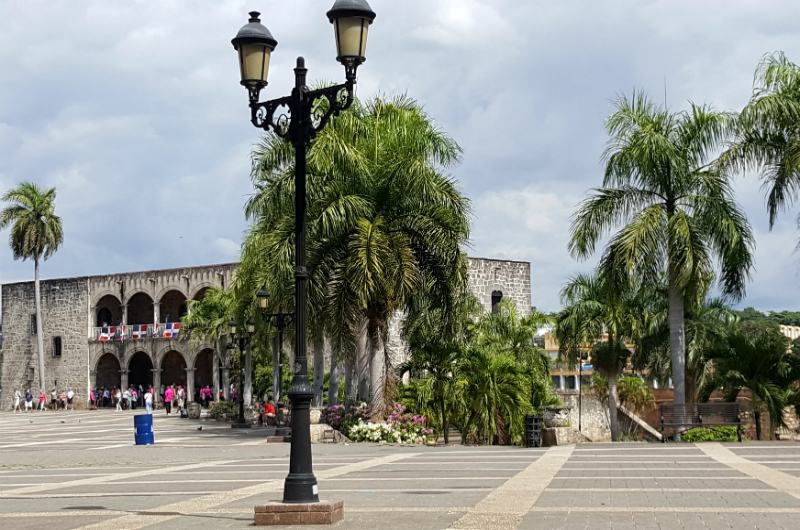 If you’re visiting almost any of the vacation hot spots in the Dominican Republic, a trip to the capital city of Santo Domingo makes for an interesting and memorable excursion. 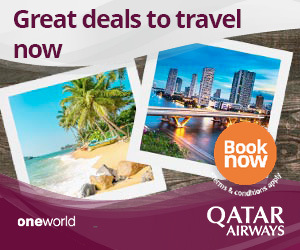 As the Caribbean’s oldest urbanization, it sits approximately 3 hours from Puerto Plata or Cabarete, 2.5 hours from Punta Cana or Samana, 2 hours from La Romana, and just 30 minutes from Boca Chica. 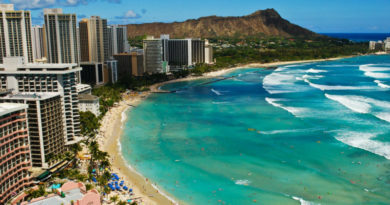 With the exception of Boca Chica, a round trip to the capital presents a lengthy ride in a tour van, but it tends to go quickly with plenty to look at along the way. And, in the end, it’s well worth it. Santo Domingo contains buildings that date back to the 1500s, including a cathedral that was among the first built in the New World. 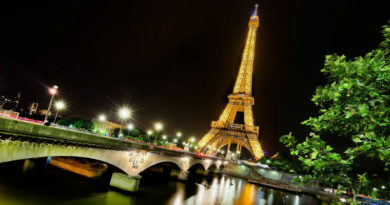 The city also contains many landmarks, museums, shops, and cafes. In fact, there is so very much to explore that it’s difficult to know where to begin. 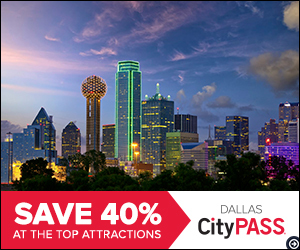 Our advice would be to start with Parque Natural Los Tres Ojos, meaning Three Eyes Natural Park, located just on the edge of the metropolis. 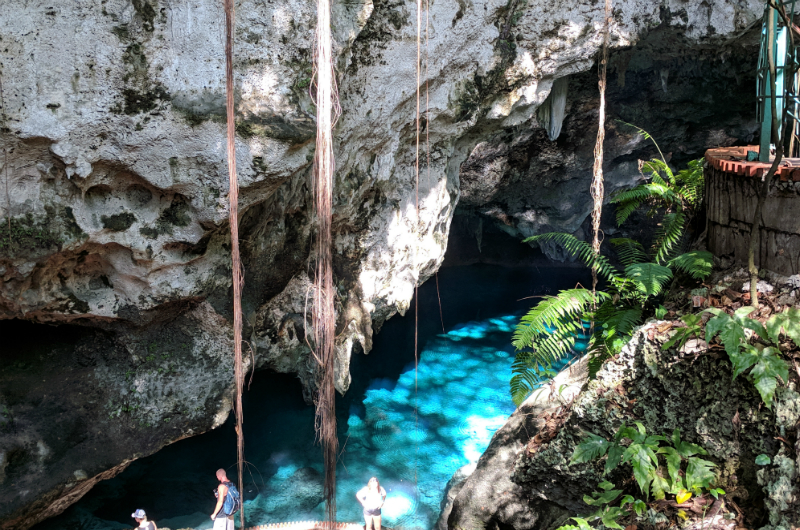 This landscape contains three underground lakes inside stunningly beautiful limestone caverns, similar to Mexico’s cenotes. 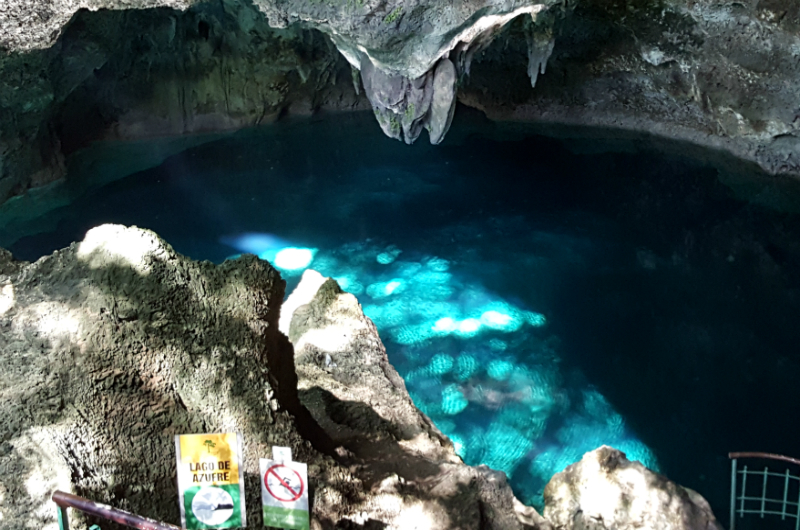 However, unlike most cenotes, swimming is not allowed here. Although these freshwater bodies are referred to as lakes, they are more like large pools named “Aguas Azufradas” “La Nevera” and “The Lake of Women”, all containing crystal clear, turquoise water. It’s so translucent that even the smallest drops of moisture from overhead stalactites can be seen as ripples on the surface. Look deeper and you’ll see turtles and some small fish. Stairs and viewing platforms carved into the surrounding rock seamlessly blend into the lush landscape and make it easy for tourists to get around and view the natural beauty. At the “Lake of Women”, a boat ride (which is more like a raft) allows tourists to be pulled further into the cavern to view it from the inside. You’re sure to snap dozens of photos at Three Eyes, but none will convey the exquisiteness quite as well as seeing it in person. The park remains open from 8:30 am to 5:30 pm with admission prices of RD $ 50 pesos for adults and RD $ 30 pesos for children and students. Moving on from the park, the next logical stop as you enter the city is the Faro a Colon (Columbus Lighthouse) with the dual purpose of housing a guarded mausoleum that purportedly contains the remains of Christopher Columbus and a museum with art and artifacts donated by various countries. Each donating country is acknowledged on the building’s exterior. The structure looks lopsided when viewed from the front or back, but actually forms a religious cross when seen from above. It has the capability of lighting up the night sky under the power of 150 searchlights, giving it the distinction of a lighthouse. Unfortunately, two problems exist within this tribute to the famous explorer. 1) the searchlights are rarely turned on due to the excessive power they drain from the city, often causing blackouts. 2) it is disputed that Columbus is actually buried in the mausoleum. The consistent part of the story is that, although Columbus died in Spain, it was his wish to be buried in the New World. After that, explanations are conflicted. The most oft-repeated version is that his body was shipped to the Dominican Republic to honour his wish. However, when the Spanish invaded they claimed the body and took it home. The Dominicans allege the wrong body was taken, thus Columbus remains buried in Santo Domingo. Conversely, Spain reports scientific evidence that links their reclaimed remains to the son of Christopher Columbus. Consequently, they declare Columbus is buried in Valladolid, Spain, in the Cathedral of Seville. The next stop in this walled city is the Palacio Nacional (National Palace), which almost looks like a cream-coloured version of the United State’s White House combined with Capitol Hill. 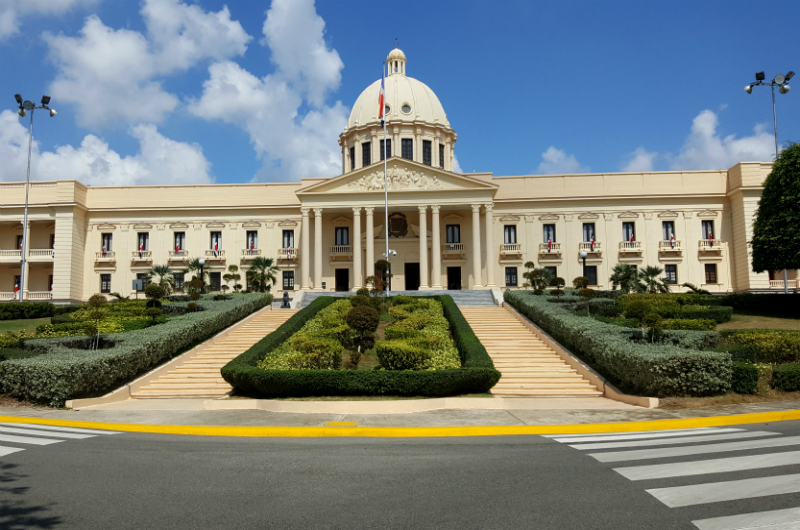 The president doesn’t actually live in the building, instead, it houses the executive branches of the Dominican’s government and is guarded by the military. The building, which was constructed in 1944, stands on the grounds of the original Presidential Mansion. Following a stop at Palacio National, guided tours tend to head to Zona Colonial, which is the historic central region of the city and was declared a world heritage site by UNESCO. 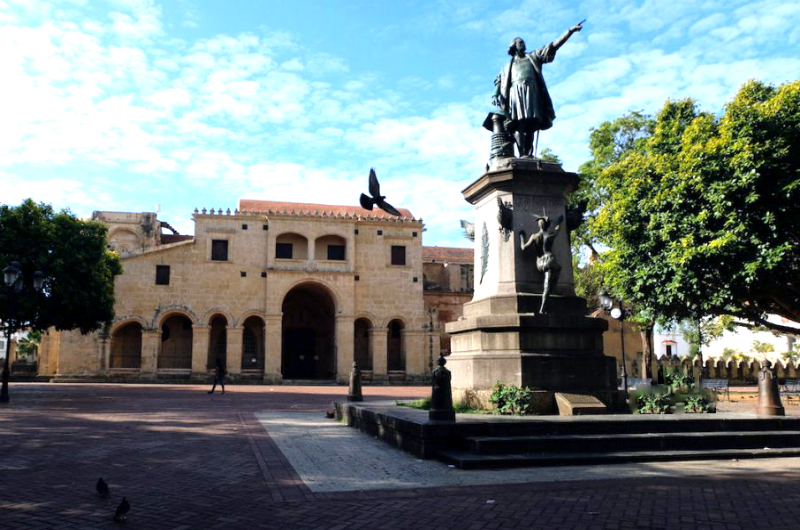 It is here that tourists will find a high concentration of landmarks that tell the story of Santo Domingo’s past. These landmarks include Fortaleza Ozama (Ozama Fortress), the oldest military facility in the Americas. 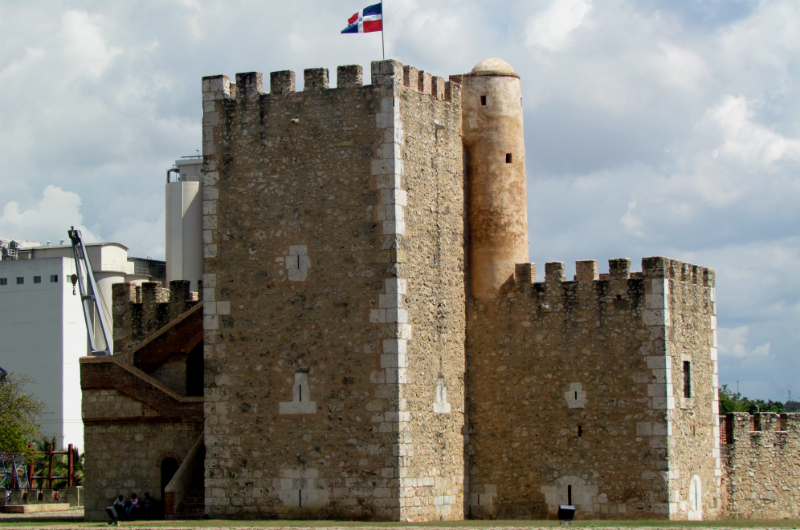 Built in 1502 from clay, lime, gypsum, and coral that was brought from the sea, the fortress overlooks the Ozama River and was used to defend Santa Domingo from its seaborne enemies, including Caribbean pirates. Rusted cannons still remain anchored and pointed toward the river. After the fort had served its purpose for defense, it was used as a prison until the 1960s. In the 1970s, the fort was restored and opened to the public for viewing, at a cost of RD $ 60 pesos for adults, RD $ 20 for children and students, and $300 pesos for a knowledgable guide should you desire a narrated tour of the fortress. The area also includes Alcazar de Colon (Columbus Palace), a palatial residence for Diego, the son of Columbus, that was said to contain 50 rooms plus gardens and courtyards. The remaining structure is approximately half the size of the original and now contains Medieval and Renaissance works of art. One of the most talked about landmarks is Cathedral de Santa Maria la Menor, a basilica dedicated to St. Mary (built between 1512-1541). 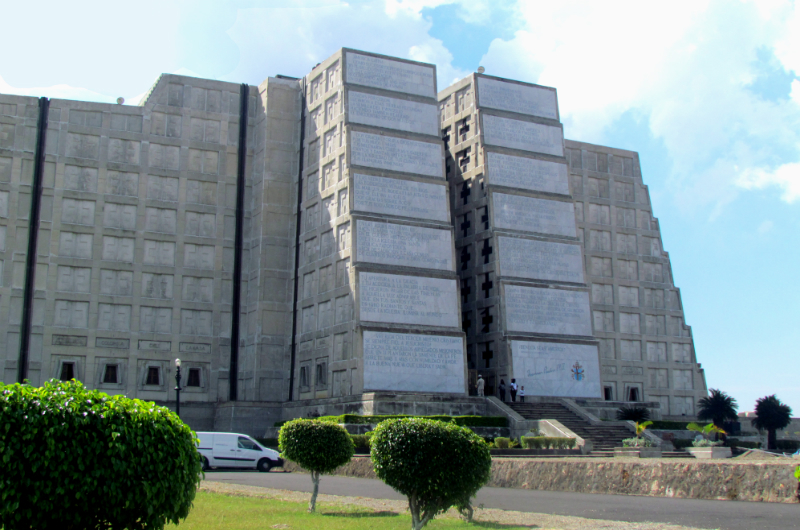 Along with the cathedral in Valladolid, Mexico, this is among the oldest in the Americas. If you plan on entering the basilica, dress appropriately. Women are expected to cover their shoulders and knees. 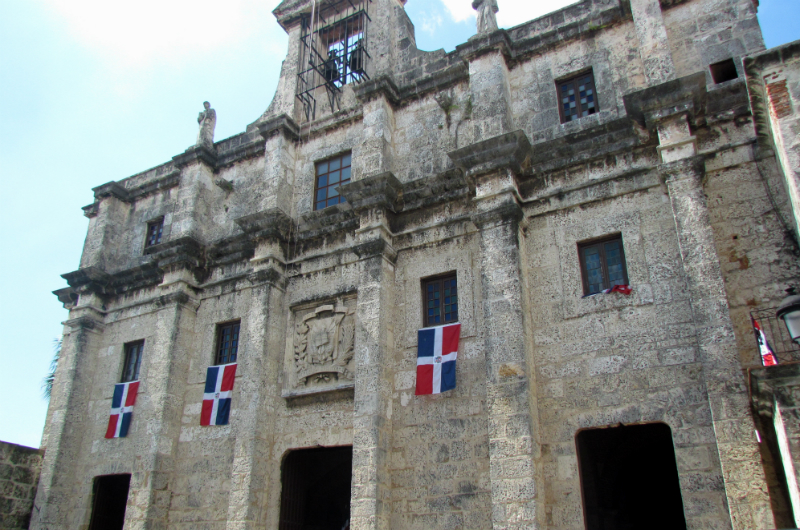 Also of historical religious significance, the National Pantheon of the Dominican Republic, which is a Jesuit church that was built between 1714 – 1746. A walking tour will also take you past such landmarks as Palacio Consistorial (Town Hall), the French Embassy, the Tower Clock, and Universidad Santo Tomás de Aquino (University of Saint Thomas Aquinas), the first university in the New World, which originated as a seminary for Roman Catholic monks in 1518. 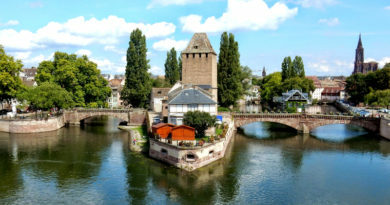 You’ll also see several significant statues and the Chu Chu Colonial, which is a charming little sightseeing train much like the Petit Train in Montmartre, France. 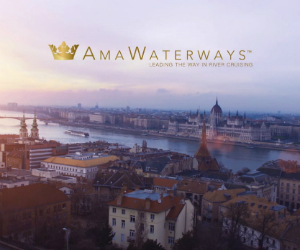 If you would prefer to see the sights with something a little more authentic, you’ll find several horse-drawn carriages lining the streets, awaiting tourists. The Plaza Espana (City Square) is bustling with locals and tourists alike but it is so picturesque and quaint that you’re bound to want to spend time there despite the noise. In the midst of the square, you’ll find yet another monument of Columbus before the area opens up to feature historic hotels, sidewalk cafes, and shops along cobblestone walkways. The surroundings look and feel like a delightful mix of Paris, New Orleans, and Valladolid, Mexico. This is a good place to take a lunch break or slow the pace with some shopping. Finish the tour with a drive through a residential area and then along the harbourfront for more stunning views and photos. For history buffs, photographers, and anyone wanting a change of pace from their resort, this is an excursion that should not be missed. A day spent exploring will give you a bona fide look at the Dominican Republic that will go way beyond a beach or pool. For a more complete tour of Santo Domingo, please see our video below. All Photos and Video belong to Go GlobeHopper. Please do not Copy or Share without credit and link back. Thank you.